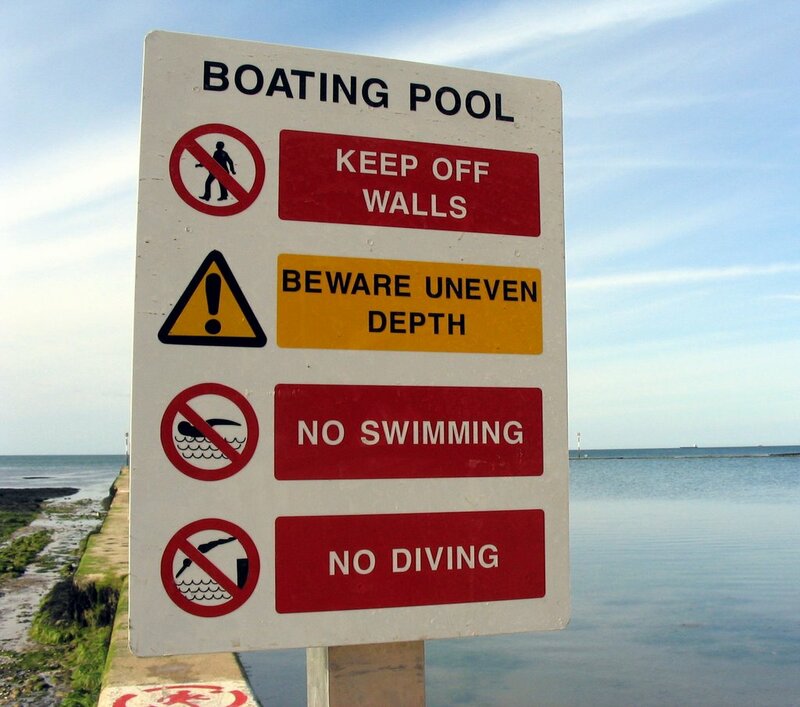 "Please tell your readers not to be concerned by new signs erected last week on each arm of the seawater pool at Walpole Bay in Cliftonville, which confused local residents, and tourists alike. They are completely wrong. The signs that were erected at the pool during the hottest week of the year clearly state that it is now a boating pool and that swimming is no longer allowed. I investigated and found that lifeguards were unaware of any change of use and the pool was most certainly part of the area they patrol. On further investigation I also discovered that the signs were actually meant for the boating pool in Margate. Not bad. Four signs to fit. Two in one location and two in another. 50/50 chance and TDC got it totally wrong! " Simon, your maths is atrocious. They could have put one of each signs at both locations, or if you accept that there is twenty five miles of coastline, and probably thirty or so concrete structures on the foreshore, then actually they did very well. You should perhaps be congratulating them. 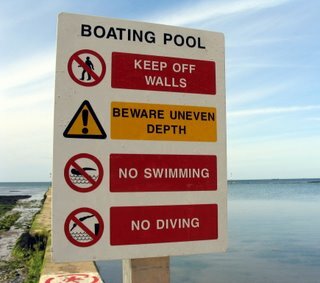 Keep it up Clive, and make sure they don't try and move the boating pool instead of the sign next time. It's good to know we are all getting such good value for money. What's my maths got to do with it. I didn't write this, Clive Did! Simon I'm so sorry, I misread and thought you had said the chances were 50/50. I should have said Clives maths are atrocious.